Recognized as the primary American symphonist of the 20th century, Roger Sessions (1896-1985) is one of the leading representatives of high modernism. His stature among American composers rivals Charles Ives, Aaron Copland, and Elliott Carter. Sessions was awarded two Pulitzer prizes, election to the American Academy of Arts and Letters, winning the Brandeis Creative Arts Award, the Gold Medal of the American Academy, and a MacDowell Medal, in addition to 14 honorary doctorates. 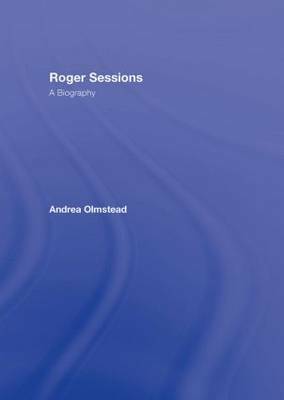 Roger Sessions: A Biography brings together considerable previously unpublished archival material, such as letters, lectures, interviews, and articles, to shed light on the life and music of this major American composer. Andrea Olmstead, a teaching colleague of Sessions at Juilliard and the leading scholar on his music, has written a complete biography charting five touchstone areas through Sessions's eighty-eight years: music, religion, politics, money, and sexuality.